One of the books that I bought was The Hidden Life of Trees: What They Feel, How They Communicate—Discoveries from a Secret World . I had heard an interview with the author of this book on ABC radio national which had really caught my interest. We own a lot of trees, as you can see in the image below. 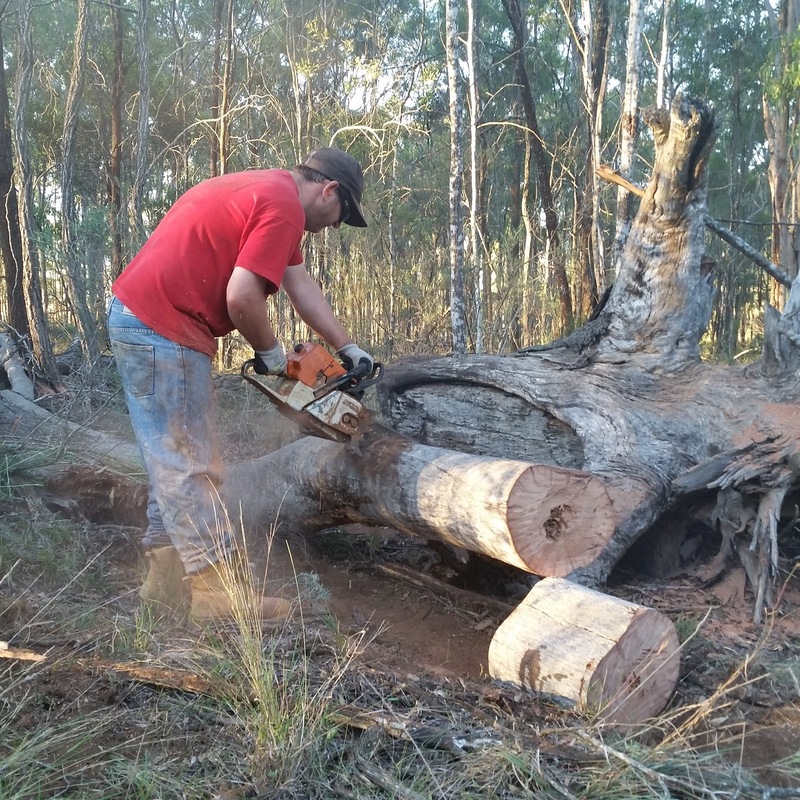 Our property was on the market for a long time before we bought it because it has so many trees (about 100 acres of our 258 acres) and most are protected under QLD vegetation management laws, so they can't be cleared. Farmers around here believe that trees are unproductive and would prefer cleared land. 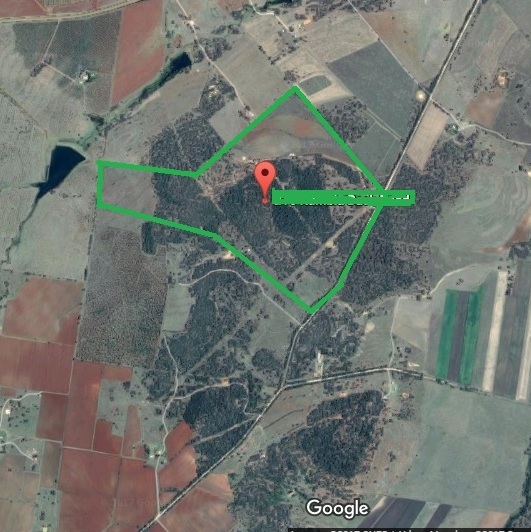 We recently learnt more about managing our bushland using occasional fire, and I'm always interested to learn more about trees and how we can optimise our forest areas. So you can see why I wanted to read this book! It was written by a professional forester and has been translated from the original German. It describes everything he has learnt during his career managing forests in Eifel mountains. As per the title, the book explains how trees communicate with each other and what they sense about their environment. Trees connect using their roots and they can share nutrients to help "friends" who are not doing as well - this explains why single trees don't thrive, we often see a lonely single tree remaining in a paddock, and they are often dead, trees need connections to other trees! A shelter belt or group of trees is better than leaving a single tree here and there. Fungi also help in this process by building a network that links tree roots. Trees also release chemicals when they are being attacked by microbes or insects, and this not only warns other trees, but also helps to attract predators. Some trees only fruit some years (not every year) and they seem to coordinate this (mechanism yet unknown) which is thought to be a way of discouraging mammals etc that feed on their seeds by not allowing them excess food to increase population every year. Setting fruit is also a lot of work for a tree and they can become weaker as a result. There are lots of good reasons for trees to grow slowly (helps them to grow strong healthy trunks) and mother trees help to regulate the growth of their seedlings. However older trees grow faster - if we are interested in sequestering carbon we need to let forests grow old. We still don't really know how water travels all the way from the roots to the leaves of very tall trees! However we do know that it is trees that make rain away from the coast, so maybe we should stop cutting them down in central Australia..
Up to half the biomass in a forest is below the surface - in the soil. Trees have a cooling effect on the surrounding air, not just due to the shade, also the transpiration of moisture from the roots to the leaves. My only disappointment is that someone has yet to write a similar book about gum trees! This book focuses on beech and oak trees, which are not familiar trees here in Australia. I'm sure that the general principles apply, but I would love to know more of the specifics. Do you value trees? Are you interested in how they communicate and what they feel? Well you might just find this an interesting little book then! Trees do encourage rain, I know of a district that went from dairy farms to wheat production and because the trees were all cleared over many farms , the rain stopped it's regular pattern . I actually did some research on our area, to learn about it's earlier land managements practices. Farmers would use the flat land (Lockyer Valley, for example) for food/animal production, and leave the trees on the hills. What farmer wanted to work on a hill, after all? But once the land on the flats, had their rich soils, spent from overproduction, families had to start looking for money, elsewhere. So they turned to logging the trees on the hills. The land we purchased, was one of those large family properties, before it was divided up by a land developer. You can really see, our sloping land was made for growing trees! It's really unstable land now, because of all that logging in earlier generations, and what the land developers clearer recently too. What I have noticed about our eucalyptus is, their dormant season is in the dry, and their growing season is sparked by the first serious rains - so it's all determined by rainfall. Which can be sporadic. Trees in the northern hemisphere, have their different stages, based on winter snows, and after the thaw. We have come to value the ironbark, as a much slower growing, but ultimately more stable canopy tree - over the faster growing eucalyptus. They often shed large branches, when it's too dry. Which makes it dangerous to be under. But the ironbarks were actually the natural forest trees, which dominated this area, and why they were logged. It's a beautiful, hardwood timber. Sorry, I could talk trees all day! I love our trees. Not just the trees though, we love the understorey plants too.